JERZY DROZD will not charge a fee for paying by bank wire transfer. You may pay by credit or debit card via PayPal payment service. Remember that credit cards and financing options allow to spread payment out over the course of a few months to a few years. JERZY DROZD will charge a fee for paying via PayPal. You may pay via PayPal payment service. From there, our Personal Payment Plan lets you stretch your purchase over the number of easy no-interest payments that you decide, at your convenience: from 1 to 24 no-interest installments, within a maximum time period of two years. 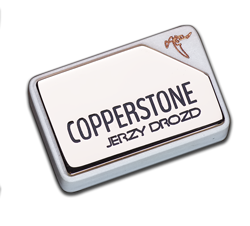 Once paid the full price of the instrument, you will receive at home,with no additional costs, your desired JERZY DROZD. * The initial payment amount depends on the selected JERZY DROZD. Please, feel free to ask us.